Who should attend? 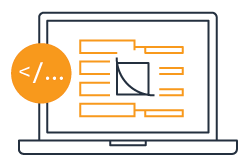 Based on the AWS Essentials Course, AWSome Day is ideal for IT managers, business leaders, system engineers, system administrators, developers and architects who are eager to learn more about cloud computing and how to get started on the AWS Cloud. Content will be available in English & French, with subtitles in Spanish, Italian & German. To close the day, Seb will give you some ideas and inspirational thoughts to take your apps or IT architecture to the next level and to start to build on your learnings. Q: Where is AWSome Day Online hosted? Q: Can I watch the sessions after the event? All sessions will be available on-demand for a week after the event. Q: Who should attend AWSome Day Online? If you are new to AWS or looking to accelerate your journey to the cloud this event is for you. 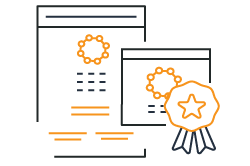 Based on the AWS Essentials Course, AWSome Day is ideal for IT managers, business leaders, system engineers, system administrators, developers and architects. AWSome Day Online is a free online conference. Q: Can I get a confirmation of my AWSome Day Online registration? If you complete watching five sessions during the live conference, you will receive a certificate of attendance a week after the event. Q: Can I ask questions during the online Conference? 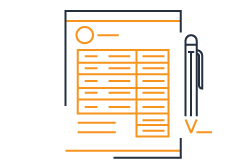 Yes, our AWS experts will be available during the live event to respond any questions you have in English, French, Spanish, Italian and German. Q: Do I need to attend to full conference? No, you can start or leave during the online conference. All modules will be available on-demand for another week. However, we advise to follow the full conference on March 26th to be able to get your questions answered, receive the certificate of attendance and receive AWS Credits. Q: How do I attend the conference on-demand? Please register for the event now, and we will send you communications and reminders to join us on-demand.